For no reason I get a little bit attached to the city of Zhongshan: nice people, unpolluted sky, which is rarely seen in large Chinese cities like Guangzhou. However, it might get your nerves on if you are foreigner without any English-speaking Chinese by the side coz most of people even the sales person in the stores can’t speak English or with very limited English skills. 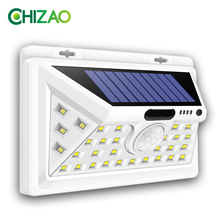 Guzhen, a town in Zhongshan city, is a manufacturing base for LED lights in Southern China. Have you ever wondered where to buy LED lights and import from China? Just hop on the train from Guangzhou South, within an hour you’ll arrive in the LED capital of Guzhen. How to travel from Guangzhou to Guzhen, Zhongshan city? 1. By train. Take train to Guzhen, Zhongshan from Guangzhou South Railway Station. Ticket: about 40 rmb, 1 hour. 2. By bus: about 50 rmb. 1.5 -2 hour. 3. By taxi: about 500 rmb. We stopped in the center of Guzhen, and took stroll around the markets selling LED parts, shops on both sides of the road and markets selling lights, led transformer, etc. In Guzhen, an eye-catching scene is the street lights of various designs displayed on some squares or near the markets. View more photos of LED in Guzhen, Zhongshan. 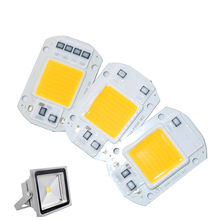 You can find millions of LED related products in Guzhen, LED lights with ceiling or without, transformers, etc. The price is usually wholesale price, much lower than you buy from other places. Many of the shops have showroom upstairs, so if you want to see more, you can ask the sales person show you around their showrooms. Hi. i need a translator to help me out buy LED strips. Hi George, thanks for contacting us. Please check your email. I’m planning to go to Guzhen to buy wholesale LED light products and what is the nearest international airport to Guzhen coming from toronto. Hi dear, welcome to China, the nearest airport is in Guangzhou, Baiyun airport. hi i am vivek kumar. 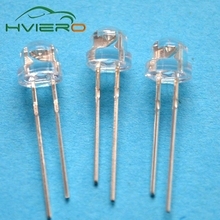 i am looking for led bulb drivers, PCB and other components. Hi Gandhi, thanks for reaching out. Please email us service@business-in-guangzhou.com what kind of products you are looking for, e.g., product specification, order quantity, budget, our sales representative will get back to you as soon as possible. Thanks and best of luck. Business-in-guangzhou Team. I will be visiting Guzhen to find a good quality supplier. Please ask your collegue Ariel to contact me. Hi, thanks for contact. When are you coming? My colleague will be in touch with you. i will come to Guzhen on June would you please say me which place is good for LED market. Hi Wayne, thanks for contact. As to accommodation in Guzhen, it’s suggested to check booking or agoda based on your requirements. Guzhen is very small, as long as you stay in the center, it’s very easy to move around. Hi Nikhar, thanks for contact and welcome to China. My colleague Kevin will be in touch with you about buying agent and interpreter service. Thanks. HI SALLY,Im looking for a agent in guzhen..need to purchase led lights..can u help me? Hi Rukshan, thanks for contact. My colleague will send you email in details. Best regards, Sally. Hi John, thanks for support. I have no idea about portable WiFi but usually most airports offer rental service. If you stay mostly in the city center of Guangzhou, you can find free wifi very easily in shopping malls, cafes, restaurants, but the connection is just average, only good for wechat. I’m afraid you might have problem with what’s app connection since partly were blocked. Google products are all blocked in China but you can use vpn to access them. I think it is better you try for the first one or two days and see whether the free public wifi is ok or not. If it is too slow for you, you can just go to any China Mobile shops or China Telecom Shops in town and buy a sim card for tourist, do bring your passport with you as it is necessary for buying sim card in China. Good luck. Where’s more popular for lightings, Yiwu? Or Guangzhou? Hi Nish, I don’t know much about the lightings in Yiwu. However, as to the lightings in Guangdong(Canton), usually Zhongshan city is the most preferred choice for low price while Shenzhen is better known for quality. i need more informations about this led market in guzhen such as there is markets can do international business or they can speak english? Hi Yakout, lots of the sales in the shops in Guzhen can speak English, but quite limited. If you can’t speak Chinese, it’s suggested to buy from suppliers with English-speaking sales representatives, usually they sell on alibaba and price tends to be higher. Another choice is hiring a local buying agent to source suppliers, follow the orders and arrange shipping. Good luck. thanks sally foryr informations but r u know how to get ( chinese to english )translator from guzhen? Hi Yakout, thanks for contact. My colleague might be able to help and he’ll email you. Thanks. Hi Anup, welcome to Guzhen. As long as you arrive in the town center, you can easily find lots of led markets in the neirghborhood. The MOQ is quite small, usually 10 pieces or less depending whether they have stocks or not and how you negotiate. As to hotel, it depens on your budget but it is a much preferred option to stay near Guomao(国贸). There is an Indian restaurant Sahara within walking distance. Hi Ammy, thanks for your messages. Sure my colleague Ariel will be in touch with you regading led lights. Thanks. Hey when is the next lighting fair in Guzhen? Hi Prakhar, I can’t remember clearly but it’s held the same time with Canton Fair. The Autumn session would be at around late Octorber or earlier November. It’s better you checkes the official website. Hi I am sunil visaria from mumbai and want to visit guzhen led markets.wholesale markets. Hi Sunil, thanks for contact and welcome to Guzhen. hi, I’ll be visiting guzhen for the first time. I would like your help in finding wholesale market for wooden, plexi, aluminium etc.. internal lanterns in addition to crystal chandeliers in good prices. I also need your recommendation as regards safe and reliable offices to collect the items from different shops and packing upon shipment. Hi, I will come in Guangzhou after 20 days. I need an emergency led bulb. Where i can find this and how i will go there from Guangzhou. Please give me details. Hi Yeasin, welcome to Guangzhou. You can take train from Guangzhou South Railway Station. It takes about 40 minutes by train to Guzhen. Good luck. Coming to Guzhen very soon, can you suggest me any better wholesale market as first timer ? It’s my first time to Guzhen. PS: can we buy in small quantities of various items in this place like in Yiwu ? Hi Dev, welcome to China. No worries. 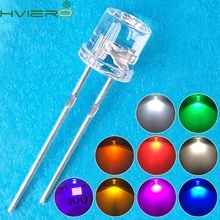 You can find glittering arrays of shops selling led easily in Guzhen, and the moq is very small. Hi Sammy, do you have any plans coming to China recently? Hi Andre, welcome to Guzhen, good luck.